Frustrated about the upcoming Presidential Election? Want to donate to a campaign you believe in? 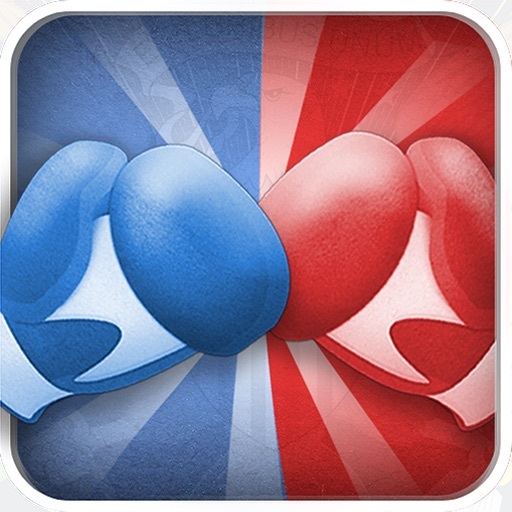 Take out some of your frustration in the Political Arena! 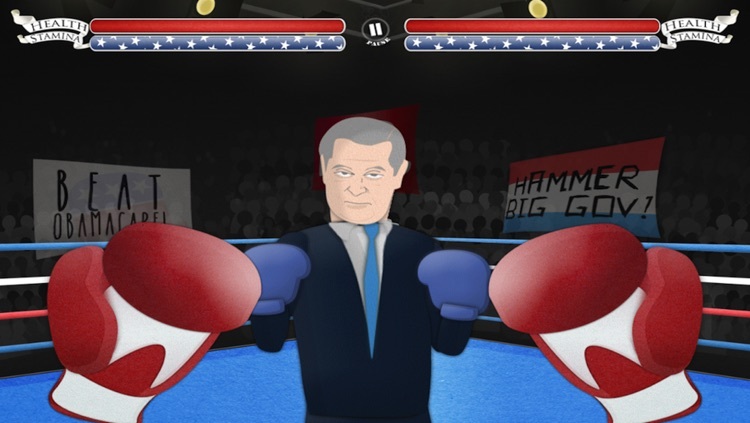 Brought to you by Vellum Interactive, this tongue-in-cheek boxing game allows you to play as Barack Obama or Mitt Romney, and box your way through humorous political opponents . 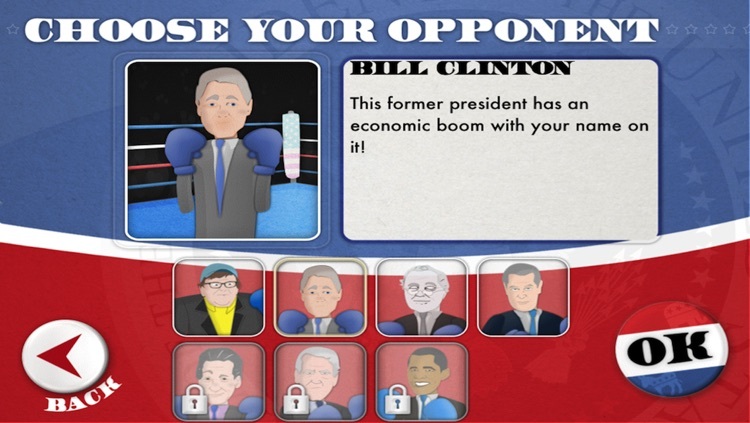 Any In-App purchases you make will benefit the Victory Fund for the candidate of your choice! This isn't JUST another boxing game; Your fight has a purpose! * Tongue-in-cheek dialogue to accompany humorously drawn political figures. 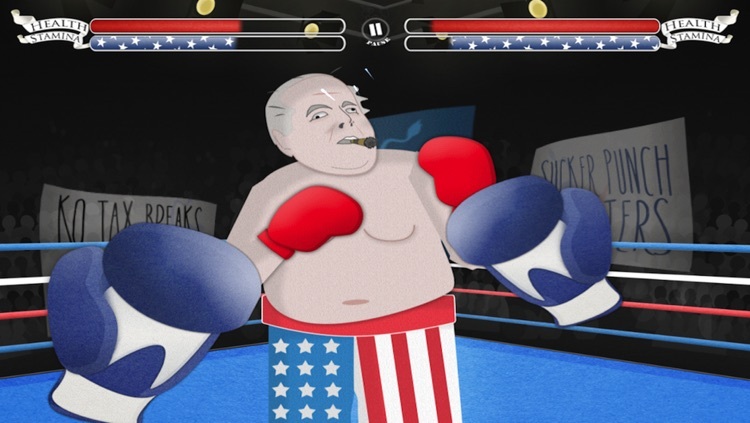 * Over a dozen hilarious opponents you can take down in the Political Arena. 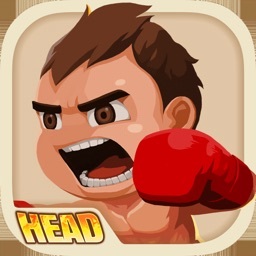 * Face paced and skill driven boxing action. * Level up to unlock opponents and increase stats. 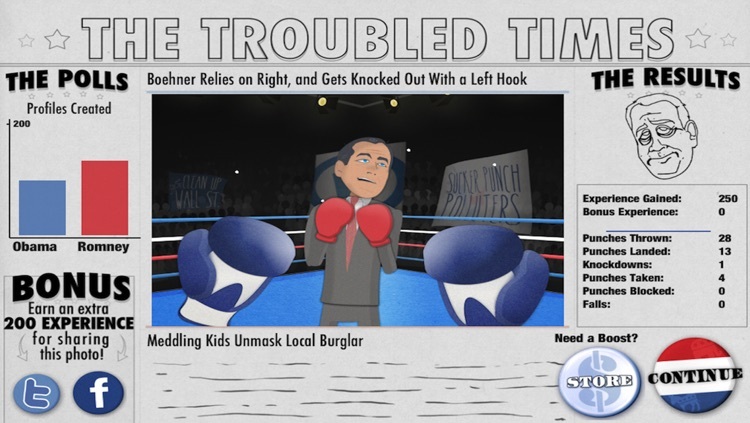 * Built-in store for purchasing power ups and custom boxing gloves. 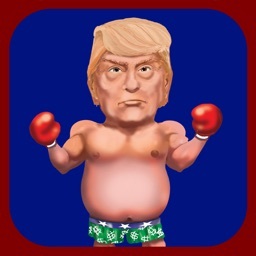 * 10% of all In-App purchases will be donated by Vellum Interactive to the candidate's victory fund of your choice. (You can opt-out if you prefer not to contribute). 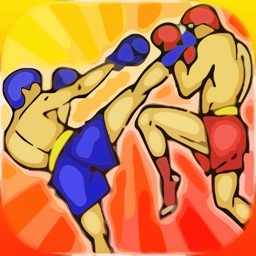 * Photo Album stores key moments in each of your fights. * Social media integration for sharing photos and accomplishments. 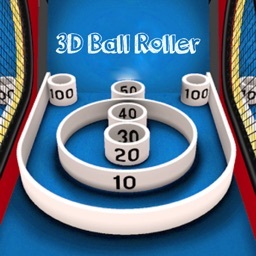 * Game Center integration with Leaderboards and Achievements to unlock. 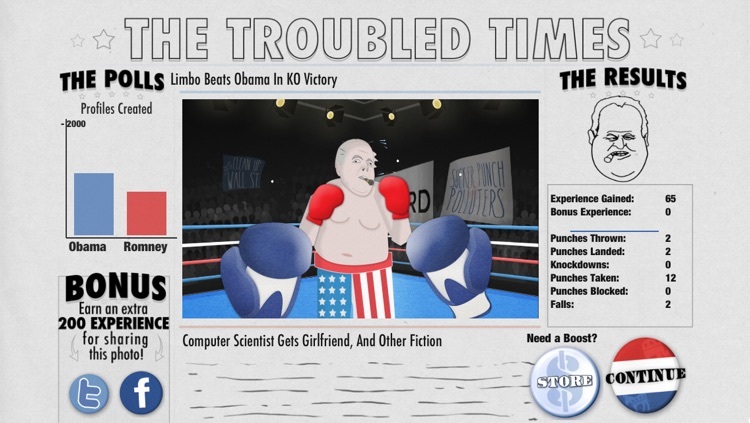 * Humorous in-game newspaper lets you keep track of your stats and read the latest quirky headlines created by users like you! Republican or Democrat, Conservative or Liberal, Red or Blue; However you identify, pick a side! 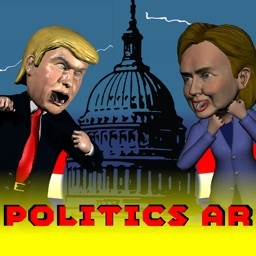 Do you have what it takes to conquer the Political Arena? AppAdvice does not own this application and only provides images and links contained in the iTunes Search API, to help our users find the best apps to download. If you are the developer of this app and would like your information removed, please send a request to [email protected]om and your information will be removed.